Summer is all about the fruit. So, let's bring a little bit of the brightness into our cereal treats! 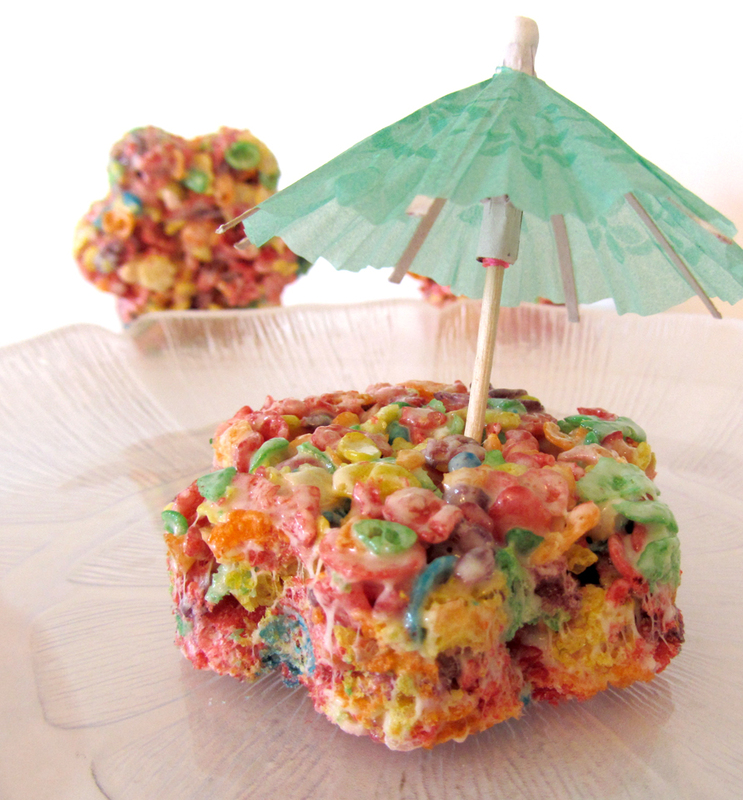 Fruity Pebbles are the perfect ingredient (well, fruit's in the name at least - just go with it). These gooey delicious bars are great at BBQs, picnics, and kids birthday parties (or just standing in the kitchen). These are essentially Rice Krispie Treats, of course - just made with a different cereal. They're more sugary - you could use half Fruity Pebbles and half Rice Krispies if you prefer (or if you like fruit and chocolate together, you can add mini chocolate chips to cut the sweetness a bit). They couldn't be more simple and quick to make. Three ingredients and no baking. You can't beat that! So, next time you want a colorful, summery treat, give these a try! 6. Cut the treats into pieces using an oiled knife or cutter. Serve! To store: cover and keep at room temperature. These are best served within 24 hours.